ISS can design and install a flexible and scalable access control solution that integrates with your existing security systems and puts you in control. Tecom offers a range of access control solutions designed specifically for the Australian market. 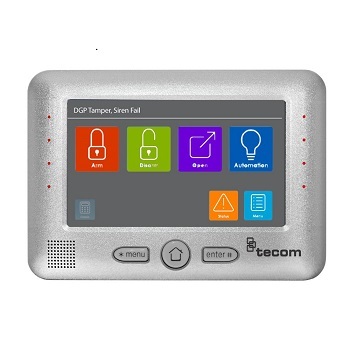 Tecom’s access control products are modular and designed to integrate seamlessly with your entire security system – providing you with an end-to-end solution that grows with your business. Leveraging our impressive qualifications and extensive experience, the ISS team can deliver a modern and cost effective access control solution that can be controlled onsite or remotely via a tablet or smartphone. We can provide comprehensive training to all relevant employees, perform thorough scheduled servicing and maintenance, and respond to any system faults. Tecom Mobile communicates directly to the suite of Challenger panels, including Challenger10, ChallengerSE and ChallengerLE. 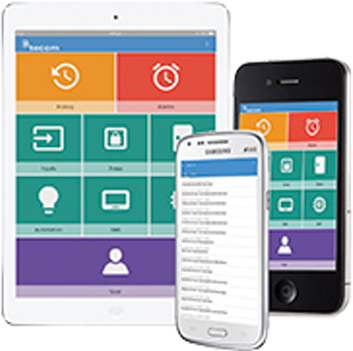 Tecom Mobile is just another reason why Challenger is a great choice for your intrusion and access control needs. The Challenger security controller is the heart of the Tecom solution. By adding various modules such as intelligent door controllers, LAN devices, remote arming stations, input and output expanders, the system can be customised and scaled to meet your needs. This is all tied together by intelligent management software that makes controlling your system easy. 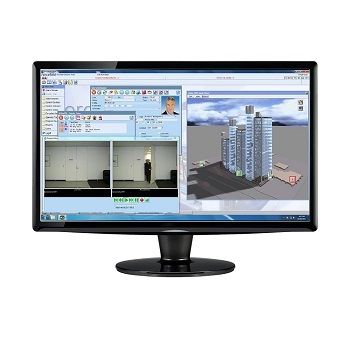 Tecom has a variety of software options for you to choose from that we are happy to assist you with. Click the link below to see the various options and give us a call to discuss how we can help you use these to meet your requirements. Tecom provides trusted security solutions, call us to see how we can help . The Touch Screen Remote Arming Station (RAS) builds on the continued success of the Tecom portfolio for Challenger control panels. The Touch Screen RAS brings simplicity and style to the Challenger security system with an easy-to-use touch screen keypad. With a sleek, aluminium surround, the Touch Screen RAS brings a unique, modern look to your existing or new Challenger installation. The intuitive menu makes it easy to program and control your Challenger system, whilst classic mode allows long-term users and installers the ability to program their system just as they do now. With no need to re-train users, the Touch Screen RAS is an easy choice for controlling and programming your Challenger system. An open platform is a smart way to drive simplicity, giving you the flexibility to manage your entire operation from a single interface. Know exactly who is in the building at any given time with integrated video surveillance and monitor your premises in real-time to deliver a safe, secure environment for staff and visitors. 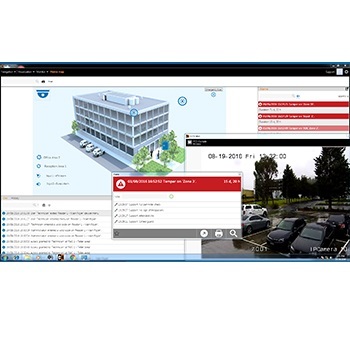 Complete access in multi-site environments where people need access to one or more sites. 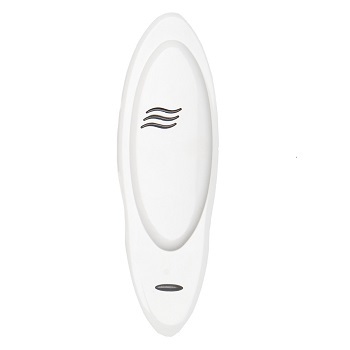 The TS0870 series of Smart Card Readers provide secure authentication of users to the Challenger system for intrusion detection and access control. Unprogrammed smart cards can be used in the default unsecured mode in an IUM Challenger system. In secured mode, a Smart Card Programmer and a special password protects against unauthorised use. Secured mode provides over 268 million combinations of passwords (4 billion passwords if the special high-security option for the Smart Card Programmer is used). 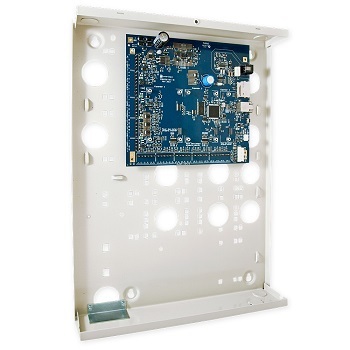 Challenger Smart Card Readers can be connected directly to the Challenger panel via the RS-485 LAN for simple door control, or via an Intelligent Access Controller for comprehensive access control functionality. Challenger10 is an advanced security solution designed for commercial and corporate sectors and is the perfect solution for the security requirements of banks, retail outlets, educational facilities and more. Challenger10 is a modular system which can be scaled for almost any application, from small to large commercial installations. With thousands of programmable options, Challenger10 has been designed to meet any security and access requirement and can be tailored to your own security policies.